I found myself engulfed with a "WTF" question mark as I bought this week's issue of the tamil magazine "Anantha Vikatan". Well, the reason is there for yourself. The caption stated thus, "இந்த இதழுடன் ஸ்டேப்ரீ செக்யூர் அல்ட்ரா தின் கேட்டு வாங்குங்கள்". A mainstream magazine that is typically targeting people of all age groups of both the sexes, offers a freebie (i.e) Sanitary pad. Have they gone insane ? Had this been a women's magazine like "Aval Vikatan" or "Mangayar Malar" or "Penmani", I can understand the intent. While I am not trying to bring in here any sexist or gender connotations (with respect to the popular culture), I am trying to understand the very "purpose" of the product offered for "free". Has Vikatan received any statistical information that the "only" subscribers of their magazine are women of the age-group 15 to 45 ? Got to view Anand Patwardhan's riveting documentary "Prisoners of Conscience", which features interview footage with some of the "Political prisoners" who were imprisoned during India's Emergency (1975 to 1977). The visual imagery and the credibility it offers (for only 41 minutes though) is definitely no match to volumes and volumes of print literature that may exist. You actually find it difficult to understand and accept the facts that are presented - the kind of gross disenfranchisement of civil rights, the devoidness of social justice, political and social unrest, arrest without trials, MISA, "Tortures" in the prison etc. Is this India ?, Is this the country which is hailed the Greatest democracy ?. While the cinema and press of the period have remained largely "silent" (Or they were silenced ? 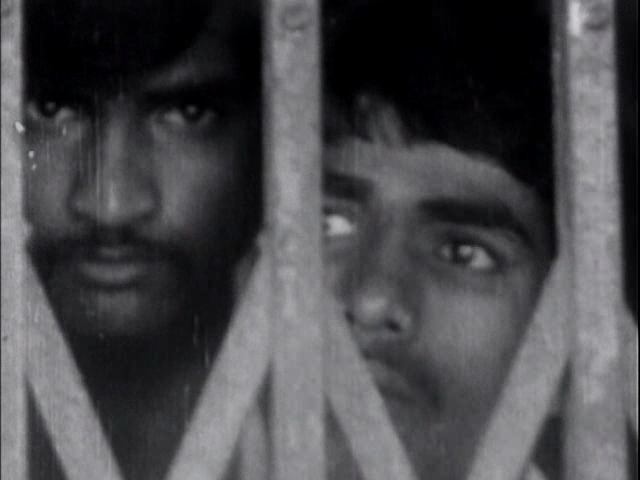 ), the original archival footage this documentary offers will stand as an important political record of a traumatic period in India's history. 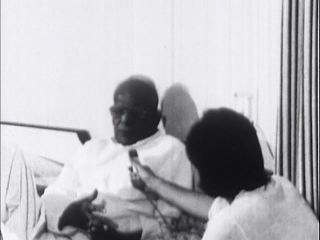 While the film has limited it's scope largely by just presenting a series of edited montages featuring interviews with the "victims", it has an interview with Jayaprakash Narayan and hence for me, is worth the time and effort. That said, the presentation of the documentary is neither lucid nor cogent and will not serve somebody to actually understand the whole mess (i.e) India during Emergency. A tiny photo essay with the screenshots from the documentary. As long as there are "Prisoners of Conscience" or the "Political prisoners" in jail, the expectations from the Janata party haven't been fulfilled and I think there should be a continuous pressure on the Janata party government .. Also, I believe the time might come when some kind of a mass movement (of the people) might become neccessary ... the public opinion, young people, Sarvodaya movement, the press - all these should help in this process.